Flower power. Our hand-painted Blake floral is both feminine and bold. Pale pink flowers with delicate brush strokes dance across a deep blue backdrop. 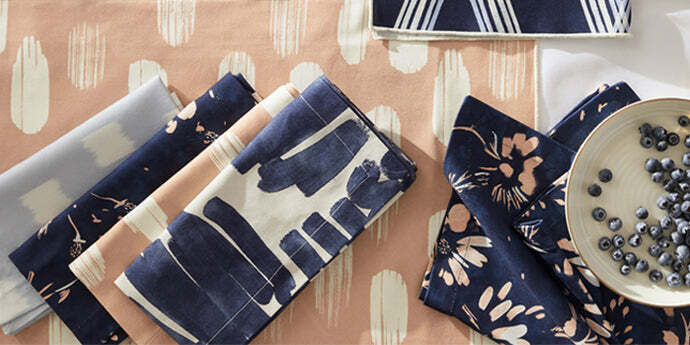 Wherever you use it, this modern take on floral is versatile enough to play it preppy or play it punchy.